Malinda A. Miller is a partner in the Newark office of Lewis Brisbois and a member of the Long-Term Care & Elder Law Practice. Ms. Miller has a depth of experience in the defense of long-term care and assisted living facilities. She has represented numerous facilities in claims involving falls, decubitus ulcers, elopement, medication errors, abuse/neglect, dehydration/malnutrition, contract and fraud based claims obtaining successful results through all phases of litigation. She is the preferred counsel for some large, regional long-term care operators as well as many operators in New York, New Jersey, and Pennsylvania. Ms. Miller regularly presents at seminars educating other lawyers on different issues and trends in long-term care litigation and provides in-service training to management and staff of nursing homes, assisted living operators, and other care providers with the goal of risk reduction. In addition to long-term care and assisted living facilities, Ms. Miller has experience representing physicians, nurses, CNAs, medical groups, and healthcare facilities in medical negligence and related claims involving a wide array of medical specialties. Ms. Miller is experienced in the defense of cases in both state and federal courts. 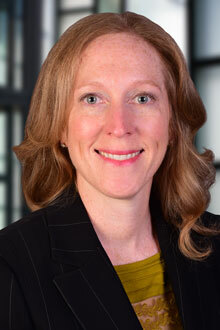 She has first chair trial experience and has vast experience in alternative dispute resolution including administrative proceedings, mediations, and arbitrations. This experience includes not only long-term care and medical malpractice matters, but also those involving issues of premises liability, automotive liability, construction litigation, products liability, employment discrimination, and property damage.